The answer is both "Yes" and "No." Life insurance IS taxable in certain situations where income is generated. Life insurance is NOT taxable if benefits are paid out in full to your beneficiaries. To help sort this all out, here's a look at the various situations when life insurance is and isn't taxable. Tax laws are intricate and change regularly. Consult with a tax advisor regarding any action you plan to take involving your life insurance. When your life insurance benefits earns income, it's taxable. Consider these situations. Situation #1: Your life insurance policy is paid up and earning interest. Your life insurance company typically sends a statement at the beginning of each year that includes the interest earned in the previous year. This is the amount you will need to enter when doing your tax returns. Situation #2: You surrender or transfer the policy for cash. You buy a $500,000 life insurance policy. After several years, you decide to surrender the policy for its cash surrender value of $75,000. Up until this point, you paid $60,000 in premiums. The gain is determined by subtracting the $60,000 from the $75,000. So, you will have to pay taxes on $15,000 of income. Situation #3: Your policy has a cash value component that you sell, withdraw, or surrender. Since this is considered income, tax regulations require you to pay applicable taxes on the difference between what you paid into the policy and the amount you got back. You decide to sell your $100,000 life insurance policy for $80,000 to a non-relative. Up to this point, you paid $50,000 in total premiums, $10,000 of which was subtracted from the policy's cash surrender value for insurance fees/charges. As such, your adjusted contract amount is $40,000 ($50,000 in paid premiums minus $10,000 insurance fees/charges). Therefore, you must report $40,000 in income, which is the difference between the sale price ($80,000) and your adjusted contract amount ($40,000). Certain situations occur during the normal life of the policy where, even though money is involved, they are not considered a taxable event. Here are several possible scenarios. Situation #1: You purchase a life insurance policy. You do not pay sales tax on the purchase of a life insurance policy, regardless of the amount of coverage. Situation #2: You pay the premium amount on your life insurance policy. Whether you pay your life insurance premium monthly, yearly, or have it deducted from your paycheck, you do not pay sales tax on the amount paid. Situation #3: You gift your life insurance to a charitable organization. As long as the organization is a nonprofit, neither you nor the organization will be subject to federal and state taxes. Situation #4: The death proceeds from your life insurance policy are made payable to a trust. Because the proceeds are being distributed to a trust, they are considered tax-exempt income, so neither the trustee nor the beneficiary have to pay taxes on the money they receive. Situation #5: You exchange your life insurance policy for another one or you exchange it for an annuity. Generally, this type of transfer, called 1035 Exchanges, is tax-free. However, it's important to follow the Internal Revenue Service's (IRS) rules for such exchanges to avoid having to pay taxes. Refer to Section 1035 of the Internal Revenue Code for complete information. Situation #6: You receive a lump sum cash advance under the accelerated death benefit rider on your life insurance policy. This cash advance can be taken if you are diagnosed with a terminal illness and need the funds to pay for expenses related to your care. You do not pay taxes on this type of cash advance as long as you provide your insurance company with proof of a terminal illness diagnosis. These are instances where IRS regulations put certain conditions on whether life insurance is taxable. Situation #1: You enroll in an employer-paid life insurance policy. You are NOT required to pay taxes on a policy that provides $50,000 or less of coverage. If your employer pays for more than $50,000 in coverage, it IS considered taxable income because of the economic value it provides. Situation #2: You take out a loan against the cash value of your policy. You do not pay taxes on a basic life insurance policy. You do have to pay taxes if the policy is a modified endowment contract (MEC). This is a type of cash value life insurance policy that is funded with more money than federal tax laws allow. When taking out a loan from a MEC policy, you have to pay taxes on any withdrawals and there are penalties if you make withdrawals before age 59½. Situation #3: The beneficiary named in your life insurance policy receives proceeds from your policy upon your death. If your beneficiary takes the death benefits in one lump sum, the proceeds are tax-exempt. 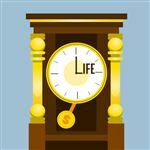 But, if your beneficiary takes the death benefits in annual payouts, the interest earned and distributed with the payout amount is subject to both federal and state taxes. Your beneficiary will only pay taxes on the amount of interest the benefit earned each year, not the payout amount he or she receives. Situation #4: You receive dividends from your life insurance policy. Although dividends are usually considered income, life insurance dividends are not taxable if the dividend amount is less than the amount you paid in on your policy. Dividends become a taxable situation when you leave them on deposit with your insurance company. In this case, you have to pay taxes on the interest they earn. Situation #5: You withdraw cash from your life insurance policy. You only have to pay taxes if the withdrawal amount goes over the amount of premiums you paid minus any dividends or previous withdrawals. Today, many life insurance policies go beyond the traditional role of paying out benefits to your beneficiary upon your death. Many are used as investment vehicles. In those instances, tax rules come into play. Passes the IRS's test for life insurance, which includes: policy type, date of issue, premiums paid and amount of death benefit. Even if your policy meets the IRS's definition of traditional life insurance, it can be taxable. Check with your life insurance agent to find out which situations would be considered taxable under your policy type. Paying your life insurance premiums with either pretax or after-tax dollars is also a factor in whether your insurance is taxable. 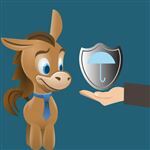 Generally, whether your life insurance policy is through your employer or a private insurance company, you pay the premiums with after-tax dollars. The exception is an employer-sponsored plan that gives you the option to buy a life insurance policy through a retirement plan. In this case, you are paying the premiums with pretax dollars. If you pay your premiums with pretax dollars, you have to pay taxes each year on the difference between the cash value of your life insurance policy and its death benefit. Additionally, upon your death, the cash value amount of your insurance policy that is paid to your beneficiary as the death benefit will be treated as taxable income. If you've set up an estate, your life insurance may be taxable, depending on the type of your estate and how it is established. Your estate value is more than the federal exemption limit. This is known as the "death tax." You live in a state with an estate tax or state inheritance tax. However, there are several instances where you can control whether your life insurance is taxed. By combining life insurance with an irrevocable trust, you avoid paying estate taxes. Your beneficiary can also use the policy's benefits to pay the estate taxes on property and other assets in the estate. If you name your estate as your beneficiary, the death proceeds from your life insurance policy become part of your taxable estate. This increases the value of your estate, which means your beneficiary will face higher estate taxes. If you don't want your life insurance as part of your taxable estate, then you have to designate a beneficiary or a trust as the owner of your policy instead of yourself. This person or entity would be responsible for paying the policy's premiums. You can gift the person or entity up to a certain amount, which can be used to pay the policy's premiums. If you plan on gifting your life insurance policy upon your death, the proceeds from your policy will go into your taxable estate. If three different people are listed as the insured, the owner and the beneficiary on your life insurance policy, the death benefits payment to the beneficiary could end up as a taxable gift from the owner to the beneficiary. When setting up your estate, be sure to discuss with your estate planning attorney all the actions involving your life insurance policy that could trigger a tax event. Unlike some insurance premiums, life insurance premiums do not qualify for a tax deduction when you file your personal taxes. Businesses, on the other hand, can deduct life insurance premiums as a business-related expense. With employer-sponsored group term life insurance, companies can take a deduction only on the premiums paid on the first $50,000 of coverage per employee. You are paying premiums on a policy that is considered alimony. The complexities of life insurance can bring about taxable circumstances when certain actions take place. Knowing when life insurance is and isn't taxable allows you to take measures to avoid situations that could lead to unexpected taxes. When taking out a life insurance policy, be sure to ask about how the policy works. This way, you can be certain you are buying a life insurance policy that meets your lifestyle. How Do Insurance Agents Get Paid? Leave a comment about Is Life Insurance Taxable? 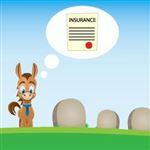 Share on Facebook "Is Life Insurance Taxable?"